After some of my recent posts I thought I’d stick with the beers, at least for the first post of the night! So this is a view of what’s in my “Beer Fridge” right now. It’s not exclusively a “Beer Fridge” since there are other things in it, but it is as close as I can get as a married man. Of course The Consul has something more impressive in his pad, but I have to deal with a family and a dog. I might add that this is not my normal selection, but I have not been able to get to Specs for a while so I’m missing Old Speckled Hen, Kronenbourg 1664, and, most sadly, Fuller’s ESB. 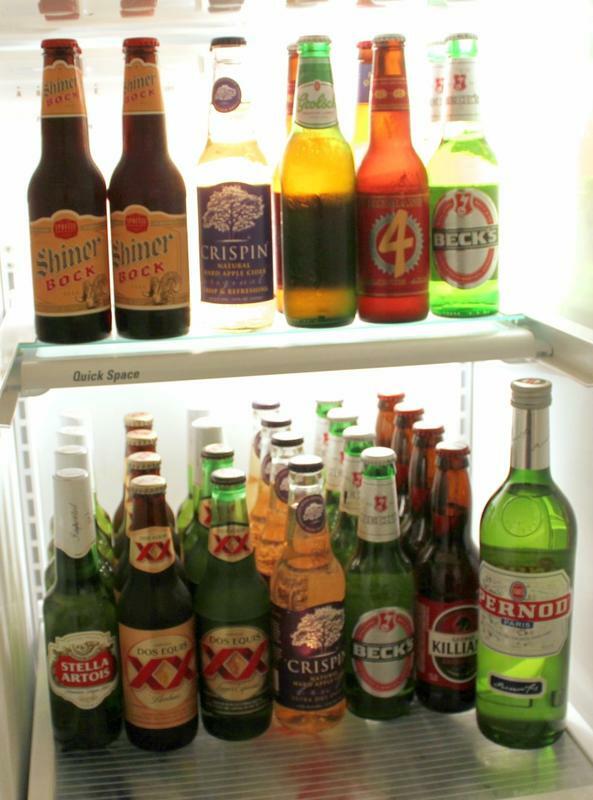 The whole concept of a “Beer Fridge” might even be foreign to the Brits among us, but I’ve been in America for too long now, and have just got used to drinking all my beers chilled.